Terracotta and concrete holy basil planters occupy prime space in front / inner courtyards of many Hindu houses in rural India. 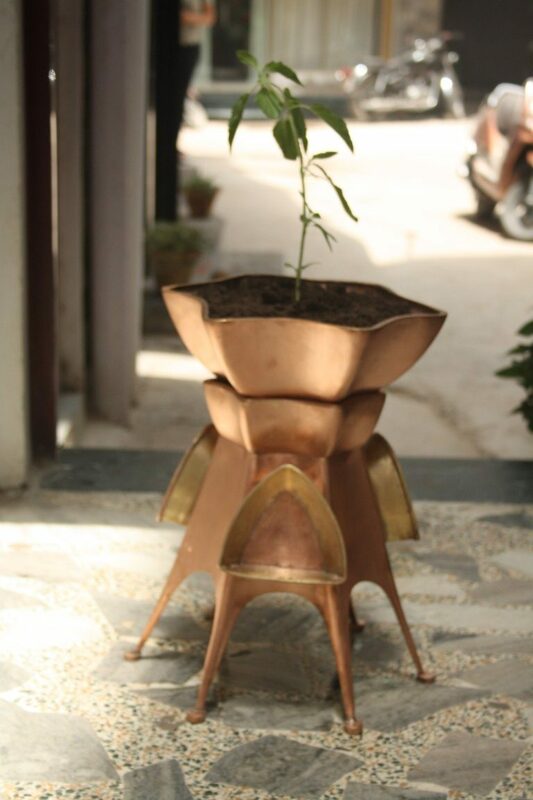 This product takes the urban consumer in mind who wants to stay connected to this ritual of worship of plants as a metaphor of God irrespective of religion, yet doesn’t have as much time or space to dedicate to maintaining a garden. 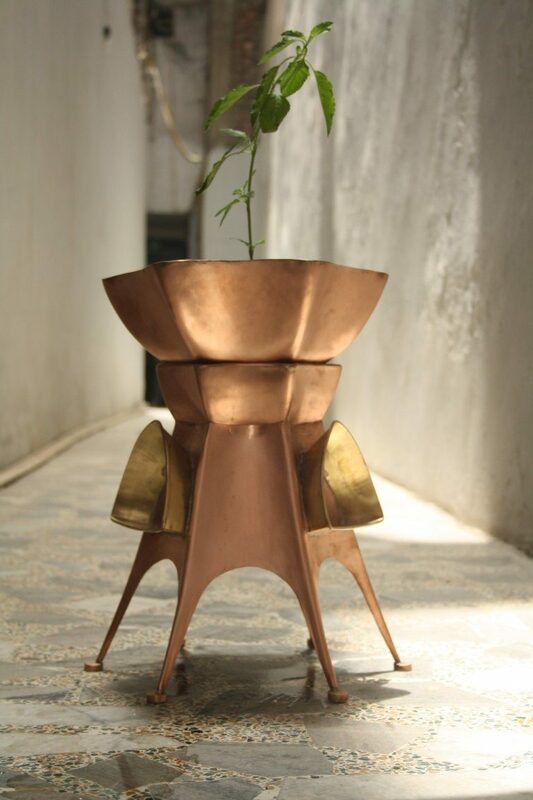 The copper planter uses low tech tapping technique wherein, the middle layer consists of a receptacle which has to be ﬁlled with water. A rope wick attached to the base of the planter above taps the water from here and feeds the plant. The form is an abstract of the holy basil ﬂorets, though it can resemble a UFO from a sciﬁ comic. 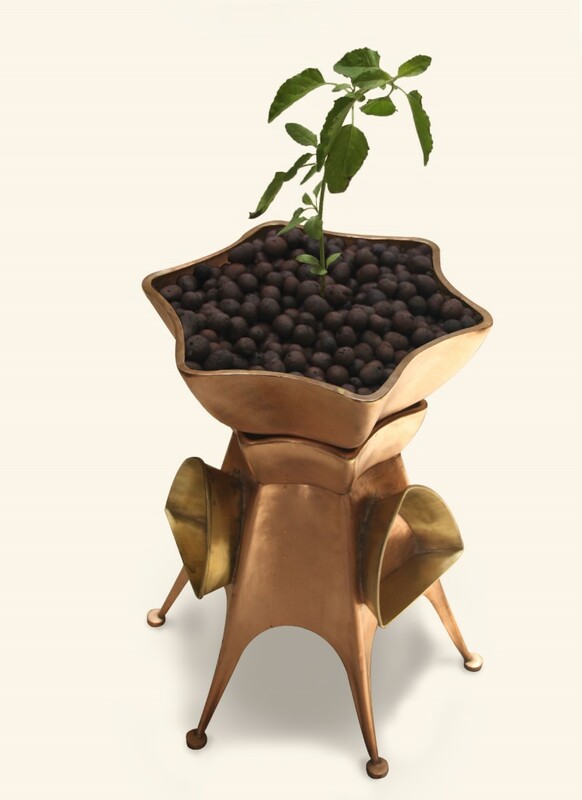 While it might not be an out of space planter it surely makes for contemporary indoor gardening in the current age. error: Cobalt Designs : Content is protected ! !